Jim Ditzel, Brunswick, ME began his Supply Chain career in 1983, when he entered JC Penney’s year-long inventory management training program. Upon completion, he was named Inventory Buyer, and in 1987, was promoted to Senior Inventory Controller. Jim joined L.L.Bean in 1988 as a Control Buyer in Inventory Management and has spent more than 30 years in the company’s Supply Chain division in a variety of key roles. He took on his first leadership position as Manager of Inventory Control in 1990, moving to Manager of Inventory Strategy and Planning three years later. In 1997, Jim was named Director of Inventory Management, with responsibility for all product categories at L.L.Bean. Over the next seven years, Jim’s responsibilities would expand to include oversight for inventory production and operations, as well as for domestic and international sourcing. In August of 2001, Jim was named Vice President of Sourcing and Social Responsibility, where he oversaw L.L.Bean’s global compliance for responsible sourcing and the offshore labor operations of company partners and vendors. He was later named Vice President of Inventory Management and was promoted in 2012 to his current role of Senior Vice President of Supply Chain. As SVP, Jim is responsible for all L.L.Bean’s Sourcing, Inventory Management, Supply Chain and Liquidations operations. Jim is active in both the community and the outdoors. He currently serves on the Alliance for Bangladesh Worker Safety and is a past board member of the Appalachian Trail Conservancy. 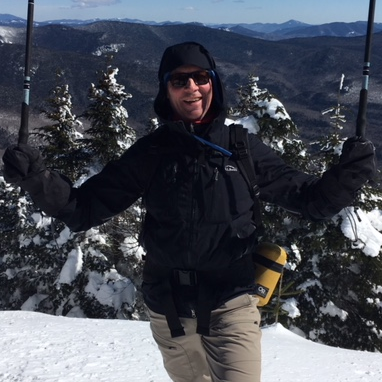 Outside work, Jim enjoys cycling, hiking (he has completed New England’s 4K footers at least two times), and paddle sports with family and friends. He and his wife Persephone live in Brunswick, Maine and have three grown children.